What’s that? You’re at the bar with a pint of awful swill in your hand, seriously regretting not taking the advice of your favorite beer heros? 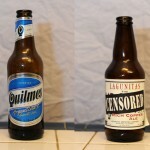 Well don’t worry for this episode of The Beer Snobs will steer your taste buds and wallet in the right direction. 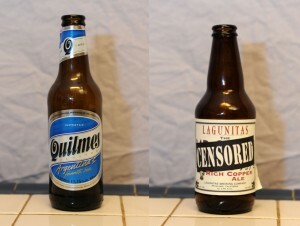 On this episode we test the waters with Cerveza Quilmes and Lagunitas Censored Ale. Posted in Blind Taste Testing (2011 - 2013) and tagged Ale, beer, Crap Beer, Last Beer Ever, Red, taste.